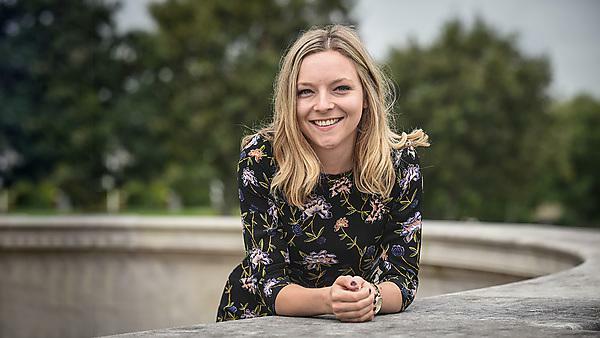 Since graduating in 2016, Lauren Archer has secured a role as a Graduate Research Executive at Ipsos MORI. I spent the summer in a temporary job before my graduate scheme started in September. This involved supporting property managers and the accounts team within a property management and lettings agency. I then began my graduate scheme as a graduate research executive within Ipsos MORI. I am based within the healthcare department, specifically working on the Rheumatoid Arthritis therapy monitors. I think one of the best, most exciting things I have done so far in my career is getting onto my current graduate scheme. It has been such a good experience learning about an exciting and growing industry in market research whilst meeting and training with all the other graduates. I think I would have taken the time to go travelling before starting a full-time job as time becomes a lot less available and a lot more precious once you start! Firstly, I think I would have dedicated more time to learning a new sport. There are a vast number of clubs and societies within the Students’ Union; I wish I’d taken advantage of those available opportunities whilst it was cheaper and more accessible than it is now that I am in London. Secondly, I would have been more prepared for the job finding process earlier on in my university degree; specifically, writing CVs, competencies, attending career fairs, and identifying skills and experiences that I can improve in preparation for the interviews. Each university year becomes more demanding and less time is available to focus on these tasks; therefore, I wish I’d begun the processes sooner. I think the main reason for choosing to study my course at Plymouth was the opportunity available to undertake a placement year. After seeing the vast amount of skills, experiences, and enjoyment my older sister had during her placement year I saw it as a key criterion when choosing my university. I found the advice provided by the Careers & Employability services particularly helpful. Not only were some of the sessions which were provided by external companies useful, but I found the online services particularly helpful. There was advice and guidance provided for every element of the CV writing process and templates which were very useful. Before attending university, I was primarily interested in pure mathematics topics and disliked statistics. However, after studying at Plymouth, my passion for statistics developed through the engaging and interesting way it was taught. This led me to aim for more statistics based roles and I hope to undertake a postgraduate course in statistics in the future. One of my favourite memories during my time at Plymouth involves some of the extracurricular activities I undertook with the Mathematics department. A friend and I had the opportunity to work alongside our lecturers at Family Science Weekends at Butlins. This involved explaining the fluid dynamics of walking on custard to children. It was extremely rewarding helping children become engage in mathematics simply by walking on custard. Since working in industry I have recognised a number of ways studying at Plymouth has prepared me to face the challenges I meet. After completing a number of group coursework projects at university, I was prepared to deal with teamwork in the work place. I believe, because of that experience, I am able to effectively manage my own time while incorporating the schedules of other team members. I believe how the course is taught has a big impact on the enjoyment and success you can get from your degree. From my experience at Plymouth University, I cannot fault the treatment and support provided by my lecturers. Their passion in the subjects and their willingness to help allowed me to excel and to not be afraid to get help when needed. In the short term, my placement year made me much more driven and motivated. It helped to improve not only my grades but also encouraged me to reach for greater career goals. My placement year also impacted my longer term career plans through highlighting the options of undertaking part time postgraduate courses while continuing working. This was achieved through networking with colleagues on my placement. As a result, in the future I hope to undertake a part time postgraduate statistics course to further deepen my knowledge of statistics. For more information about studying statistics please visit our BSc (Hons) Mathematics and Statistics course page. For more information about our range of courses within the School of Computing, Electronics and Mathematics, please visit the school page.